Recent leaks have suggested Nokia (or HMD Global, which now owns the brand for phones) has two new flagships in the works, and now we’re hearing again about two upcoming phones, but they're now sounding more mid-range. According to sources speaking to NokiaPowerUser, the Nokia 7 and Nokia 8 are currently in testing at the company. Apparently they’ll both have a metal unibody and smaller bezels than the Nokia 6, Nokia 5 and Nokia 3. They’re also both said to use the mid-range Snapdragon 660 chipset, have fingerprint scanners and support fast charging. Plus, they’ll apparently have bigger and better camera sensors than Nokia’s current lineup. 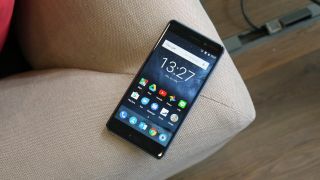 In fact, the Nokia 8 may even use Carl Zeiss optics – just as Nokia phones of the past did. Other than that, the main difference between these two phones is likely to be the screen, with the Nokia 8 apparently having a QHD one, while the Nokia 7 is 1080p, and although screen sizes aren’t listed that apparently might differ too. The site also notes that while they’re currently thought of as the Nokia 7 and Nokia 8, it’s too early to say whether these are the names the phones will launch under. If accurate, these specs point to upper mid-range handsets that should be a big improvement on the low-end phones HMD has launched so far, but not a match for the two flagships we’ve heard rumors about – which would apparently sport Snapdragon 835 chipsets and up to 6GB of RAM. So, does that mean that one of these sources is wrong, or is HMD working on two mid-rangers and two flagships? That we don’t know, but it’s very possible that all these phones are in the works, as Nokia is rumored to be launching 6-7 new handsets this year (including the handful it’s already launched) covering every price point. The latest leak doesn’t come with any kind of release date, but based on earlier information we may see at least some of these phones in June. If a Nokia flagship is coming, it will have the Samsung Galaxy S8 for company.